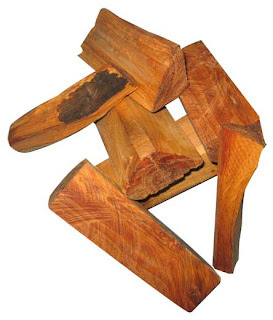 Sandalwood or Chandan is considered as sacred and holy in Hindu mythology. However, it has various other medicinal benefit. It gives cooling effect to body, , boosts memory and improves the concentration. It also improves blood circulation and is somewhat useful in controlling diabetes also. My diary features this Sandalwood Sharbat, which is made from sandalwood powder. It is readily available in the market. Soak sandalwood powder in water for 24 hours. Heat it for 20-30minutes. Then strain the water. Now add Sugar into the Sandalwood water and again cook it. When the syrup gets one thread consistency add rose water. Cool it and store it in bottle. While Serving add some chilled water. This will be a great Summer cooler during this season.